Available as overhauled equipment, the C2000 is a high-speed solution for heatsealed, double-chamber bags with string and tag and without aluminium staple. 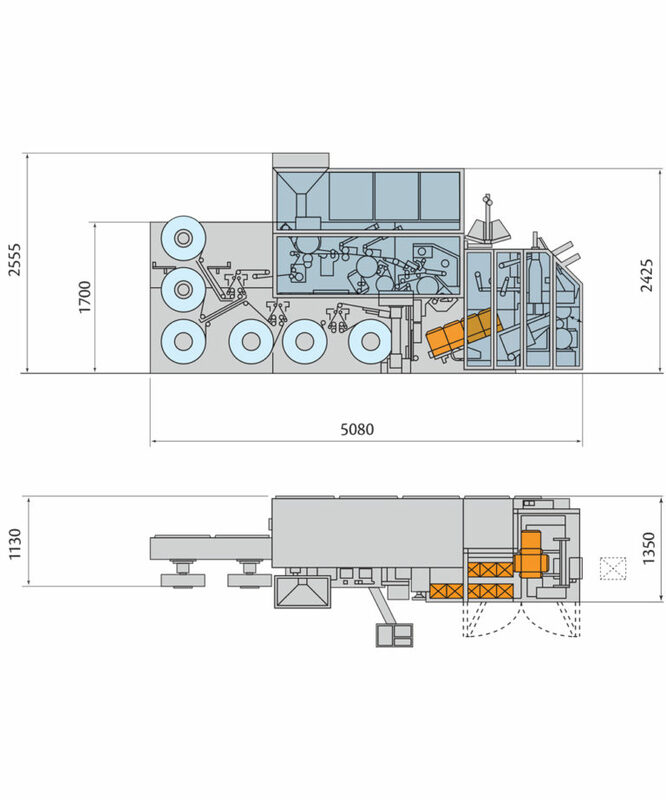 Handling naked bags and crimped envelopes, the machine also offers a vast choice of carton types. Only original parts assure original performance. 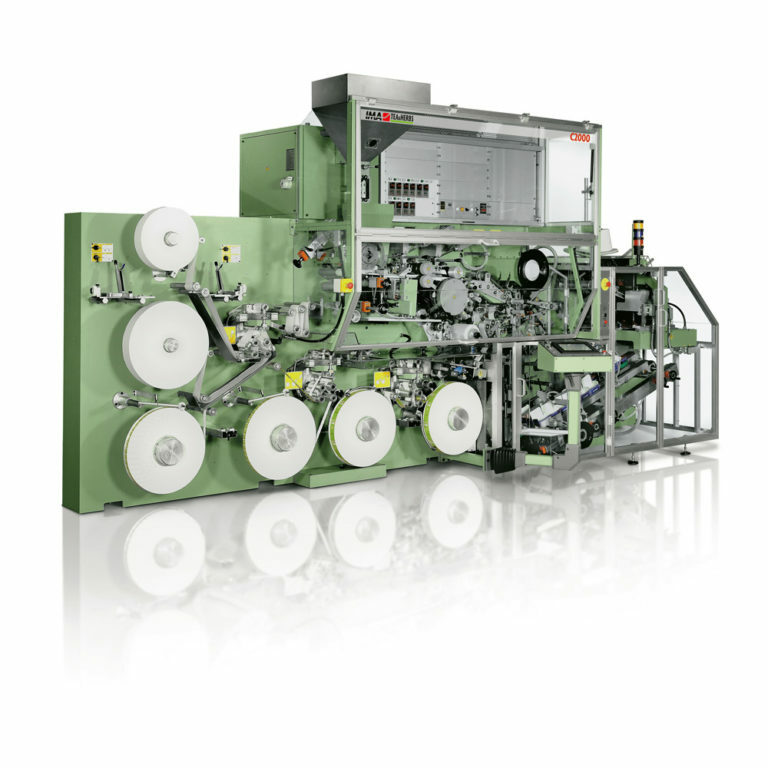 IMA provides customers with a highly qualified service centre which performs overhaul and maintenance on a selection of teabag packaging machines in order to provide a solution for companies in search of high-performance equipment at competitive prices. Overhaul is carried out by Revisioni Industriali, an IMA-managed company, using exclusively original parts. This ensures full compatibility and integration with each machine and guarantees the same performance levels as for new equipment. Moreover, Revisioni Industriali is the only company able to replace old machine parts and groups with new and updated ones by availing themselves of technical improvements developed by IMA. Customers can choose between a full overhaul and a partial revision, deciding on whether they require an immediate replacement or await revision of the existing machine. An entire overhaul carried out on our premises takes up to 3-4 months. A partial revision on our premises takes between 2 and 3 months. When carried out directly at the customer’s premises by skilled technicians, this option avoids shipping costs and minimises production losses. A third option enables customers to purchase a fully overhauled machine in exchange for their old one with a buy-back agreement. This ensures minimal production loss. installation of a new updated electrical panel, re-wiring including hardware and software upgrade. Electrical system overhaul and installation of the new electrical panel including all recent devices applied by IMA to new machines. Final testing of the machine using packaging materials supplied by the end customer. Consumption: up to max 500 Nl/min. Air supply connection: 1/2 b.p.s. Consumption: up to max 400 Nl/min.